Director, George E. Babylon, Jr. and Ruth J. Babylon Charitable Foundation, Inc.
Director, Ro and Marius P. Johnson Charitable Legacy, Inc. Lecturer on the subject of charitable gift and estate planning in the context of business succession planning. Charles B. Jones’ practice focuses on representing individuals and families in the coordination and implementation of their long-term family and wealth transfer goals and objectives. 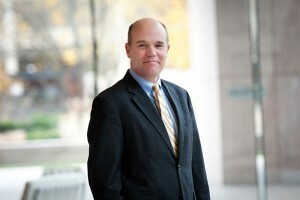 His client base is from within and outside of Maryland and he has collaborated planning efforts with lawyers from many other states including Washington, California, Idaho, Montana, Florida, and Connecticut. Mr. Jones’ practice runs the full gamut of federal estate and gift tax and the state law implications thereof. He has provided advice to clients with respect to discrete transactions and complex estate and business planning and speaks regularly on those subjects. He has been a consultant to nationally recognized law firms regarding creative charitable gift planning and has been counsel to several charities. In addition, Mr. Jones has handled many planning and estate settlements both inside and outside Maryland. He resides in Baltimore with his wife Gail; they have four adult children.